SUPPORT is available to families across the region who face the devastation of the death of their baby. In addition, volunteer knitters have been hard at work creating angel cribs and a blanket to be on hand for parents in need. Senior Charge Midwife Hannah Irvine said: “We are so grateful here at the Birthing Suite for these donations that have come from our local SANDS group. 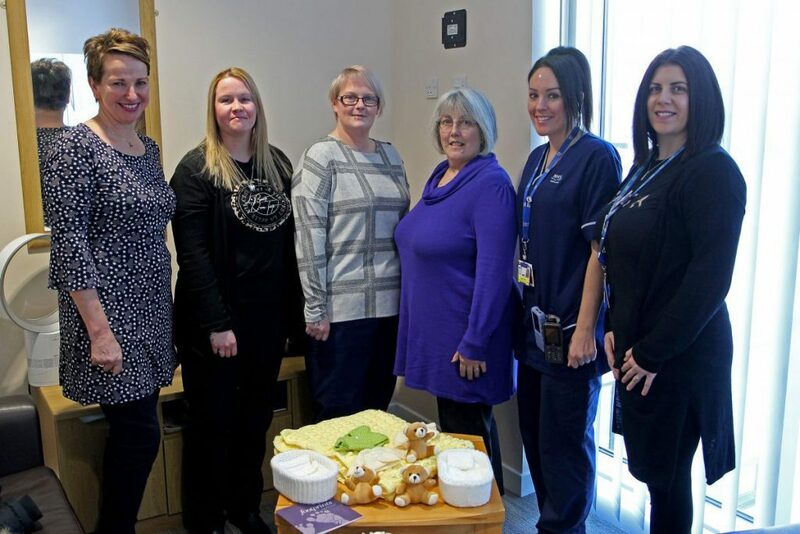 “The death of a baby is unfortunately not rare and working together with SANDS we want to make sure that parents have the best possible bereavement care locally. “The midwives asked for a blanket to ensure babies can be transported in a dignified and respectful way when in hospital. “Over the years we have worked very closely with the midwifery teams to improve care locally and support continuity.